FastStep players took home a haul of medals from the Kent U13 Bronze tournament in Gillingham today. 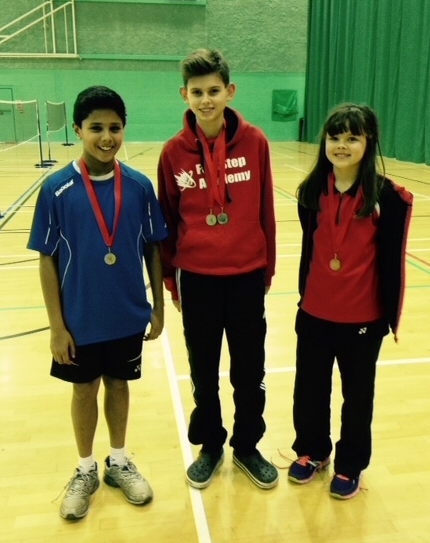 Top performers were Ben Smith and Dhanush Thiagaraj who battled their way to their first national circuit final. After a bad start in the final the boys fought back but finished runners up with well deserved silver medals. In the girls’ doubles Isabelle Craig finished with a bronze medal with partner Emma Goddard after a closely fought round robin event. Isabelle, still U11, also reached the quarter finals of the singles. Ben featured in two finals, also reaching the final of the boys’ singles plate competition where he picked up a silver medal taking the FastStep tally for the day to 4. Well done guys and well done to the many other Sussex players at the event. Previous PostPrevious Adele starts 2015 with silver!